Whether you’re recovering from an evening at one of our Favourite Nightlife Hotspots in Xela or just enjoying a relaxed start to the day, there are few things in life more satisfying than a good brunch! Here is our guide to the best brunch spots in town. Looking for a place to recharge your batteries after hiking one of Guatemala’s breathtaking volcanoes – or simply to start off a lazy day? Panquewaffles it is! They offer burgers, pancakes and waffles for everyone. 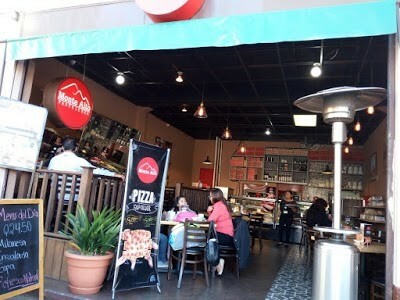 Panquewaffles convinces with a modern interior and friendly service from the owners. Their unique waffles, which come stuffed with a variety of sweet and savory ingredients, are a big favorite. With reliable Wi-Fi and a chilled atmosphere, it is the perfect place to hang out for breakfast, lunch or dinner. Also keep an eye out for their 60q all you can eat brunch buffet, offered on some Sundays. It is located on the east side of central park, just one block down the 6a Calle. For our vegans and vegetarians, this one is for you. 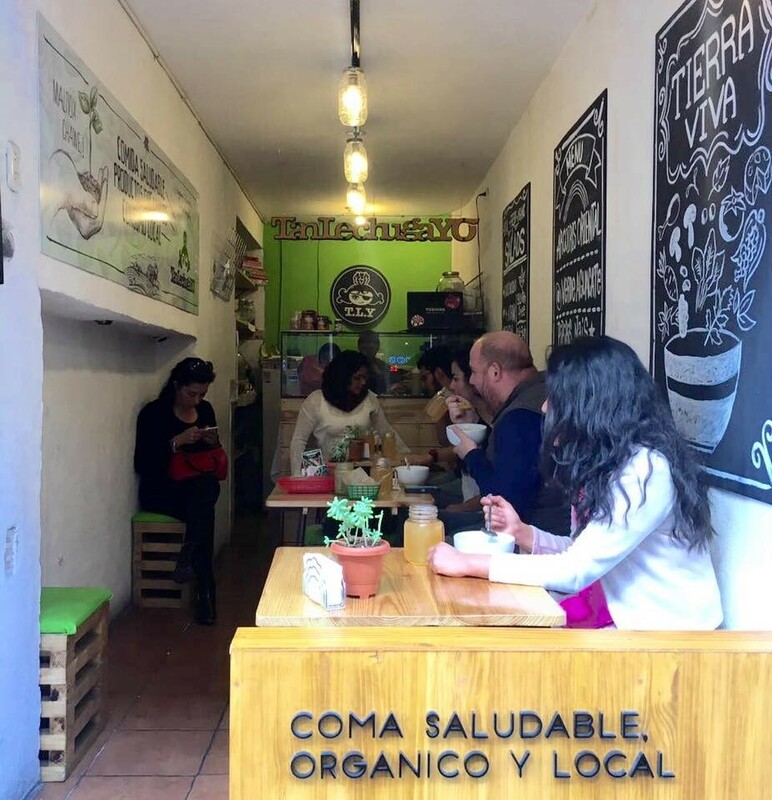 Tan Lechuga Yo serves up hot soups and enormous, filling salads full of local organic veggies, pasta, garbanzos and other delights. Its dressings range from sesame to vegan caesar to pesto. It also serves up great breakfast options of eggs, oatmeal and sandwiches. Not only is this one of the healthiest eats in town, but it’s the only spot on this list that sources eggs from happy free-range chickens, as opposed to eggs from Guatemalan and Mexican factory chickens (an ugly scene, trust us). Xela’s omnipresent café – Come here if you’re craving to feed your goma (hangover). Whether you love bacon or prefer a vegetarian/vegan option, you’ll find it here! They even offer a variety of gluten free pastries and delicious banana bread. 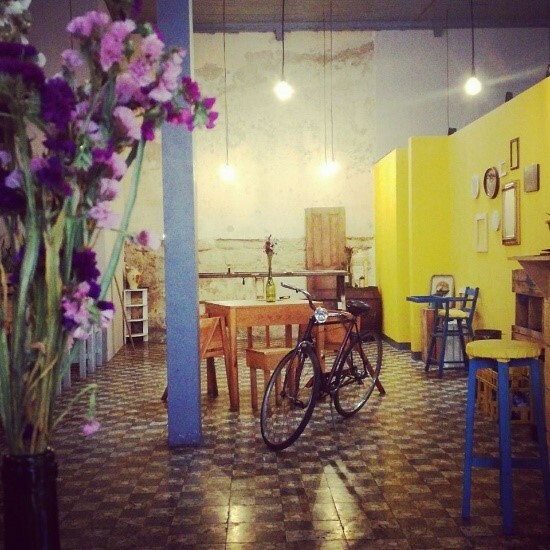 Mandarina is the kind of café you can chill out at all day long. You can brush up your Spanish game on the little patio or chat with fellow travelers over a cup of coffee. 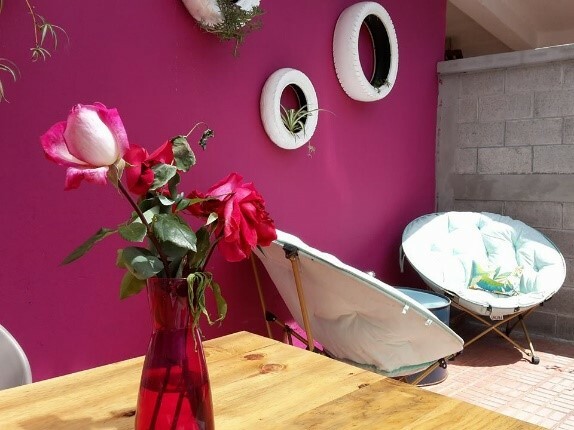 The welcoming owners, Mandarina and Alyce, as well as the staff, have created a really welcoming atmosphere in this colorful café. You can find this little gem on the west side of central park, right around the corner from the supermarket La Despensa in 7a Calle. Stop at Xela’s local bakery to get a typical Guatemalan breakfast. This classic usually consists of a variation of eggs, beans, tortillas and bread, combined with different salsas, cream and fried plantain. 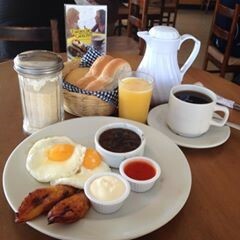 Also a good option in terms of price, this Guatemalan breakfast normally includes a tea or coffee, a juice and a local type of porridge. Another popular food you can find here is the Sheca. Famously originating from Xela, this is a type of sweet bread that goes well with local coffee or hot chocolate. Watch them bake fresh bread or prepare their famous cakes while enjoying your food. XelaPan can be found all over the city, but the biggest can be found at the central park. Monte Alto is a pastry shop that offers another option for a more typical breakfast. For brunch, choose between the desayuno tipico, bagels, pancakes or French toasts. Alternatively, those with a sweet tooth should try the delicious cakes and desserts. They offer international lunch and dinner as well, so invite your Guatemalan friends and have a good time. You can find Monte Alto directly at the central park, which makes it the perfect spot to watch one of Xela’s many parades – whether it is for Independence Day, a beauty contest or the month long celebration of the city’s patron – this is a great place to spot the festivities. Bonifaz Restaurant is just north of central park and a very chic place to go for breakfast. The Sunday’s buffet costs 89q and is a great opportunity for trying all sort of Guatemalan food while eating in a nice, clean and comfortable environment with friendly service. It starts at 7 a.m. and is open till 12 p.m. Go during the week to order a breakfast à la carte, with continental breakfast also available. 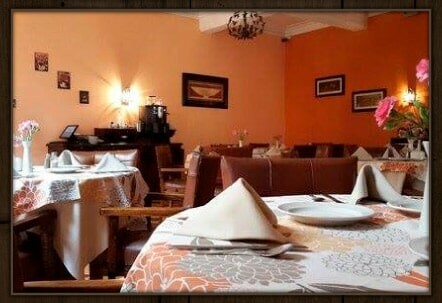 The restaurant is part of the Bonifaz hotel which dates back to its founding in 1935. It’s a beautiful quiet place to have brunch with a larger group and offers a slightly more up-market option. Head up to the Xela’s very own Dog Palace for our favorite rooftop BBQ brunch the first Sunday of every month. 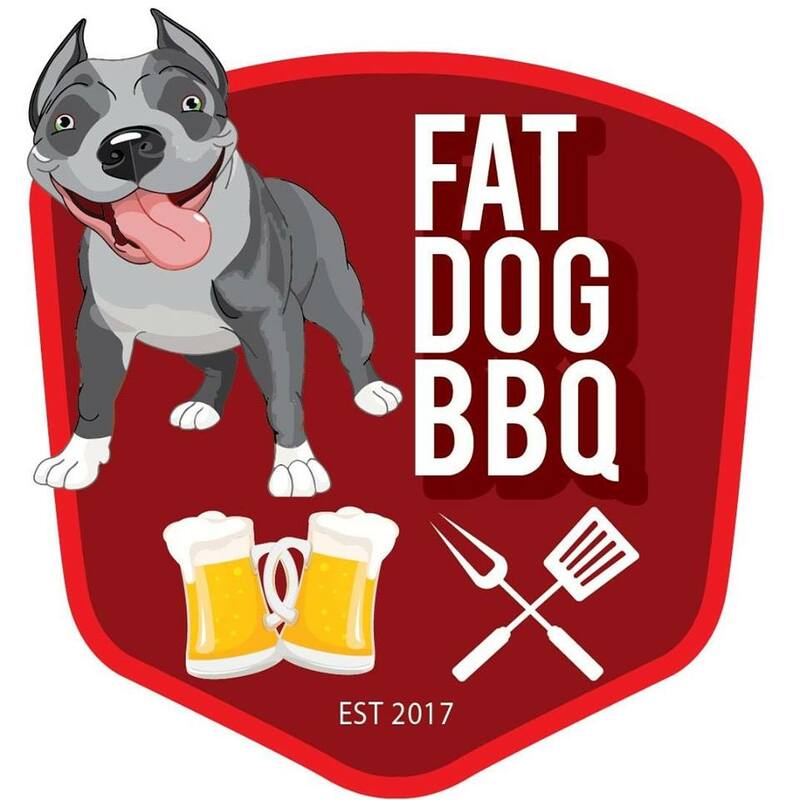 Food kicks off from 12 midday till 3pm where you can enjoy ribs, pulled pork, smoked chicken and vegan burgers, as well as loads of great sides. There is also a bar open until 6pm to take you through till sunset. To get hold of your ticket head to Mandarina cafe, make sure you buy in advance. 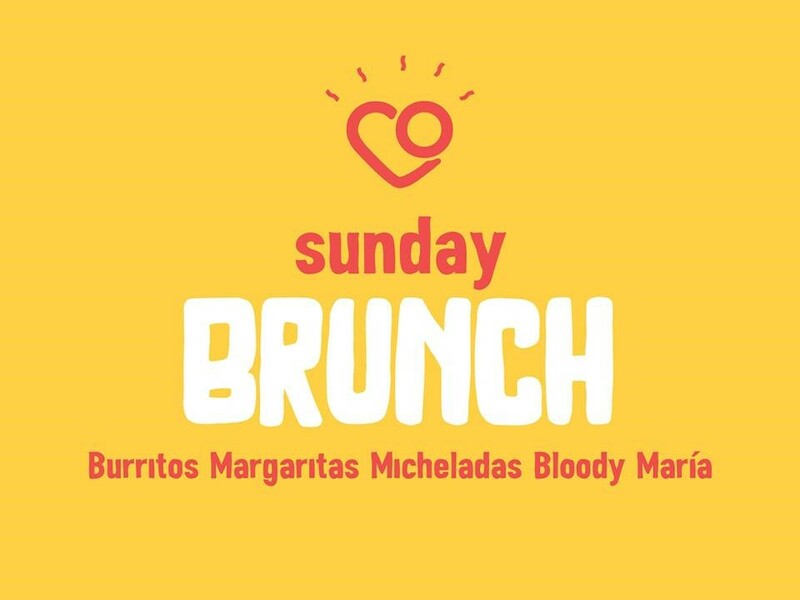 Keep an eye out for Tacorazon’s once-a-month brunch, filled with outrageous drink specials and their famous smoked organic chorizo breakfast burrito! Usually the last Sunday of each month. Tacorazon is famous for its enormous, full flavoured burritos. Specials include the Cabro beer-infused pork and deep-fried avocado. They’ll even deep-fry your burrito! Tacorazon is known for its dedication for sourcing all of its food organically and from Guatemalan producers, a cause worth supporting.